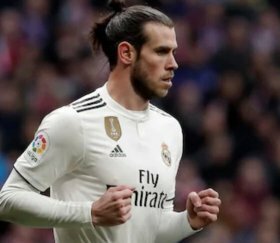 Manchester United have reportedly decided to end their long-term interest in Real Madrid's Gareth Bale amid concerns regarding his resale value in the future. The Wales international has been constantly linked with the Red Devils over the past few seasons and the speculation has recently intensified with the return of Zinedine Zidane as Los Blancos' head coach. However, according to The Star, the Red Devils are no longer interested in pursuing the former Tottenham Hotspur star with executive vice-chairman Ed Woodward concerned about two factors. Firstly, the United chief believes the attacker would not command a resale value in the future. In addition to this, the Welshman wage demands are also said to have diminished the club's interest in pursuing him in the summer. United are already said to be pondering over the sale of Alexis Sanchez, who has been a huge flop since his switch from the Gunners last year. The Chilean is currently on a staggering £500,000-a-week package with bonuses included.